KIEV, Ukraine -- The FBI is aiding an investigation by Ukraine into possible corruption by its former president, a probe that includes a company controlled by Donald Trump’s ex-campaign chief Paul Manafort, according to a U.S. official. The assistance, which is a joint effort between the FBI, State Department and Justice Department, is examining alleged corruption of the former government led by Ukrainian President Viktor Yanukovych. Manafort, who resigned Friday as chairman of Trump’s presidential campaign, isn’t the focus of the investigation, according to the U.S. official. The FBI, Justice Department and State Department declined to comment. Manafort and Trump campaign officials did not immediately return messages seeking comment. The U.S. assistance in the investigation was reported earlier by CNN. 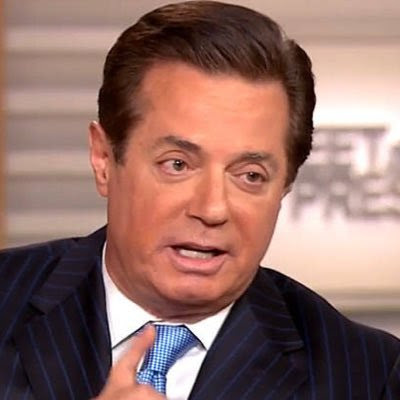 The New York Times reported Sunday that Ukrainian government investigators found records listing $12.7 million in undisclosed cash payments marked for Manafort from Yanukovych’s party from 2007 to 2012. Manafort denied taking any off-the-books cash or working for the Ukrainian or Russian governments. A Ukrainian lawmaker said Manafort should be questioned by investigators over funds he allegedly received from a secret account for working on behalf of the toppled president. Ukraine’s anti-corruption bureau and prosecutors “should question Manafort by sending a request to the U.S.,” Serhiy Leshchenko, a former investigative journalist who heads a parliamentary subcommittee on fighting corruption, told reporters Friday in Kiev. The FBI signed a Memorandum of Understanding with the National Anti-Corruption Bureau of Ukraine earlier this year, agreeing to work together on crimes related to international money laundering, international asset recovery, and Ukrainian high-level officials’ alleged bribery and corruption. Manafort worked with Kremlin-backed Yanukovych for a decade, helping him win presidential elections in 2010 that tilted Ukraine back into Russia’s orbit until a 2014 revolution ousted him from power. His Ukraine connections and lobbying efforts in Washington have fueled criticism during the presidential campaign that he may have broken U.S. laws about disclosing foreign ties. Democrats also have repeatedly accused Trump of adopting positions favorable to Russian President Vladimir Putin. Manafort has said he’s “never received a single ‘off-the-books cash payment”’ and that all money paid to him was for work in Ukraine by his political team for functions such as polling and television advertising. He said in a statement that he hasn’t “ever done work for the governments of Ukraine or Russia,” and that his work in Ukraine ended after parliamentary elections there in October 2014.